Greenarch is a residential project at Greater Noida (West) has advantage of both location & greenery. Bang on 130 sq.mt. Noida-Greater Noida Link Road. It is one of its kind project which is facing 10 acres of green belt. Low-density project covered with wide expanse of greenery. Two level basements parking in the project with expandable parking space. Every tower contains a drop-off plaza with covered porch. Each building contains double height entrance lobby. Dedicated areas & Specific Gardens for Meditation, Barbeque, Yoga & Sports. Three tier 24×7 Security with CCTV camera in each possible areas. 100% power back up for complete comfort. Dedicated Hi Speed Passenger & Service Lifts in each tower. Dedicated commercial area within the project to cater the daily needs of the residents. Apartment with door height of 8’ Ft that leaves grand impression. Vitrified tiles (600X600) in Drawing, Dining, Kitchen and Entrance Lobby . POP/Gypsum Plaster finished walls & ceiling with OBD. CP fittings (CERA or Equivalent). Ceramic tiles on walls up to Ceiling. In Kitchen, 2’-0” dado above the working tap and 5” from the floor level on remaining walls by ceramic tiles. Out doors & windows aluminum powder coated/UPVC. Internal Wooden Doors Frames made of Maranti or equivalent Wood. 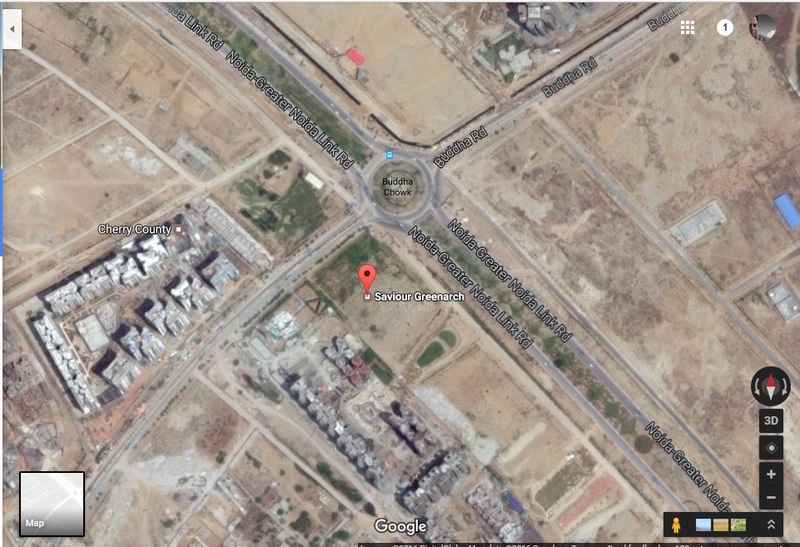 Close vicinity with Noida, Crossings Republic & NH-24. 50 meters from proposed Metro Station in close vicinity.